Heat oven to 400°F. Line cookie sheet with parchment paper. Spread asparagus in single layer on cookie sheet. 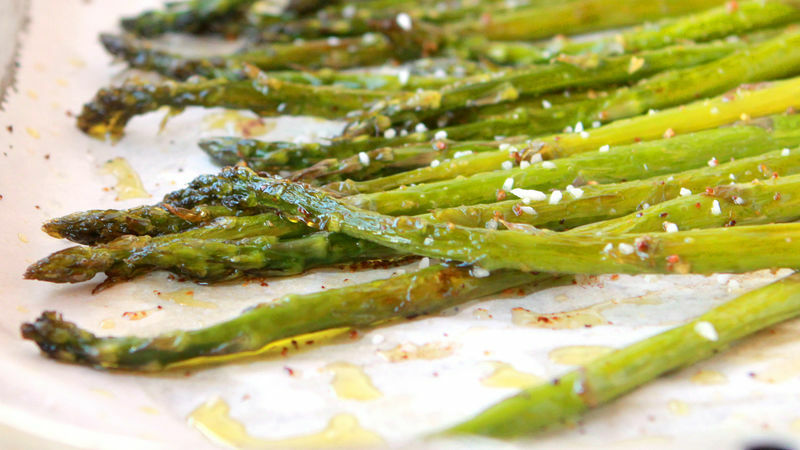 Drizzle oil over asparagus; toss to coat. Sprinkle with lemon peel, salt and a generous sprinkling of pepper. Bake 20 to 25 minutes or until asparagus is crisp-tender. Just before serving, drizzle lemon juice over asparagus. Go Gourmet! Wrap each serving of asparagus with a piece of raw bacon before roasting. Serve this asparagus with grilled chicken or your favorite steak, and risotto or mashed potatoes for a perfect dinner.